CLA nonprofit members eligible for a WIN Warehouse membership! 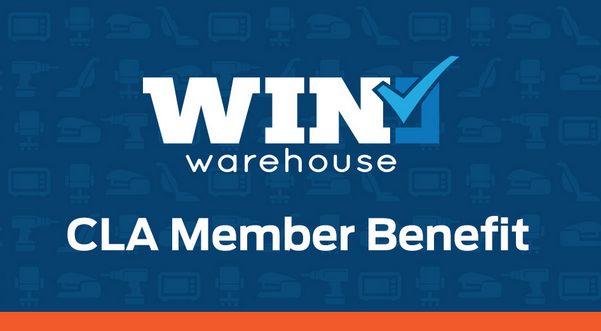 Now CLA membership qualifies nonprofits for a premium WIN Warehouse membership! Win Warehouse helps nonprofits save more on the products they need to fulfill their mission so they can do more good. WIN's corporate partners donate their excess inventory and WIN organizes the items and makes them available to nonprofit members to order in exchange for just a small handling fee. ACTIVATE YOUR WIN ACCOUNT TODAY!